New in the Arlberg, rent a splitboard. If you want to make a tour on a snowboard, the modern technologies can save you a lot of energy. Splitboarding is the best alternative to snowshoes, you can now even get along with the ski-tours. Our splitboards are well maintained and are delivered with the full hardware, telescope poles, Crampons and skins you need. All you have to have is a binding-set, with a 4×4 disc. Wetter you need the board one day or 3 weeks, it is no problem. We are still a relative young company so inform for availability and reserve your splitboard today. The splitboard can be delivered to a place in a radius of one hour drive of St. Anton am Arlberg if you rent it one week or more. 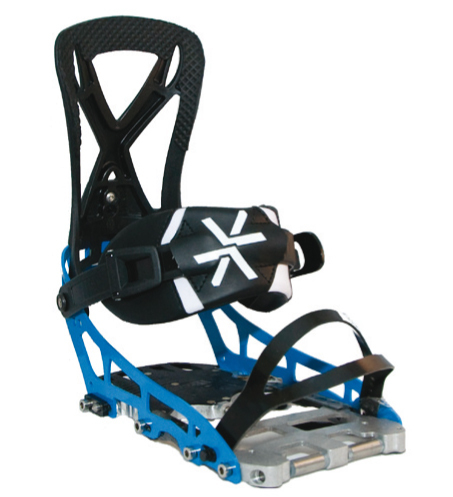 The price includes a splitboard with hardware, voile skins, crampons and leki telescope poles. For more information you can call us on +43(0)6801323688, or you can write us an email via the contact form. 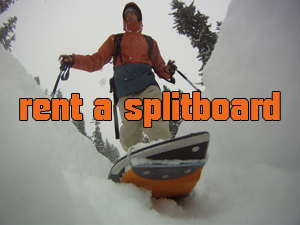 The splitboards are not insured against material damage or theft. In case of theft or loss the full price of purchase should be compensated. 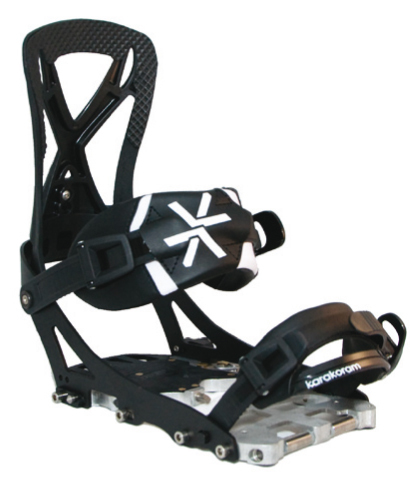 We now also have Karakoram bindings for rent. These bindings make your board feel like a solid snowboard. For more info about the price please contact us. Here is an example of some lines that can be ridden on splitboard.